Thanks to the dual support of industry and policy, China has become the world's largest new energy vehicle market. Even if the number of domestic new energy vehicle vehicle qualification enterprises has not been released, it does not hinder China.Guoxin EnergyThe pattern competition in the automobile market, higher entry barriers, and further integration of resources, only enterprises with both software and hardware strength can qualify for the game. With the popularity of lithium battery electric vehicles, its drawbacks are becoming more and more obvious. When the market sees through an industry, its investment logic changes from growth potential to actual performance benefits. In the past three years, the price of basic lithium salt has risen dramatically, from less than 40,000 yuan/ton to the highest of 180,000 yuan/ton, and the price of battery-grade lithium carbonate has risen by about 4 to 5 times. Therefore, the market concern of lithium battery electric vehicles Hot spots continue to surround the upstream enterprises in the industrial chain. Since last year, the hydrogen energy and hydrogen fuel cell industry has begun to receive market attention. In the early 2019, it formed a wave of speculation. Compared with lithium battery electric vehicles and fuel cell vehicles that have entered the bottleneck of technology and innovation, because of technological breakthroughs. The prospective imagination, the new influx brought by policy guidance, and the speculation of market funds have become a new benchmark for the new energy industry. From the initial new things to the current monthly sales of 100,000 units, the freshness of new energy vehicles has passed. As more and more consumers buy lithium-ion battery electric vehicles, the more they are worried about it, the more they are driving. Mileage attenuation, high energy consumption in northern winter, long waiting for charging and slow charging, although these problems have been alleviated to some extent through infrastructure construction and cruising range, but the drawbacks of lithium battery electric vehicles, from a technical point of view Temporarily unable to get cured. Fuel cell is another brand new field. From a technical point of view, unlike lithium battery, which is an energy storage device, fuel cell is more like a “power plant”. The basic principle of hydrogen fuel cell is the reverse reaction of electrolyzed water. 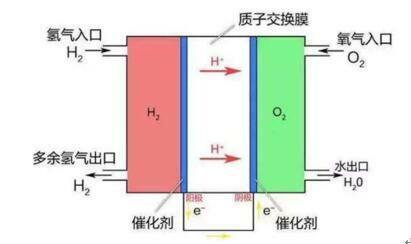 Hydrogen and oxygen are supplied to the anode and the cathode, respectively, and hydrogen diffuses outward through the anode and reacts with the electrolyte. The released electrons reach the cathode through an external load, which is a direct conversion of chemical energy present in the fuel and the oxidant into electrical energy. In the power generation device, the waste generated by the reaction is mainly water except for a small amount of carbon dioxide and nitrogen oxides. The work efficiency of the fuel cell is 2-3 times higher than that of pure hydrogen combustion, and it is quiet and pollution-free. The biggest difference between hydrogen fuel cells and lithium batteries is that they do not need to be recharged, only hydrogenation, and the habit is similar to ordinary fuel vehicles, which is very convenient. After 20 years of research and development, Toyota's Mirai fuel cell vehicle, which has been mass-produced, has a battery life of 650km. It takes about 3 minutes to fill up the gas. The speed is similar to that of refueling, and its terminal price is about 5.236 million yen after receiving subsidies. About 307,000 RMB), it is already possible to compete with lithium battery electric vehicles. Although the price is more close to the people,However, fuel cell vehicles start later than lithium battery electric vehicles, and their industrial chain is longer than lithium battery electric vehicles. The industrial chain of lithium battery electric vehicles has basically been opened, while fuel cell vehicles are different, and they are not perfect in China. The formation of the industrial chain.With the continuous development and growth of the lithium battery industry, the state has also promoted lithium-ion battery electric vehicles to enter the market through infrastructure and subsidy policies. In addition to facing the market share of lithium-ion battery vehicles, the fuel cell vehicles that have fallen behind are facing the same room. The core technologies and accessories are mastered by foreign companies such as Toyota. In the current mainstream hydrogen fuel cell, the stack unit and the hydrogen storage tank are the two core components. The stack unit is the “power plant” with bipolar plates, proton exchange membranes, carbon paper/carbon cloth. Catalysts, etc., the main function of the proton exchange membrane is to transport protons, separate reactive gases and electronic insulation. Such important components can only be produced by US and Japanese companies, and import substitution has not yet been achieved in China. Another catalyst requires precious metal platinum. Although its use is greatly reduced by technical means, the storage of platinum in the world is scarce, and the cost of fuel cells has always been high. At present, domestic enterprises have begun to explore industrialization for the development of fuel cells, from electric reactors to engines and power systems, to vehicles, and some companies have begun to conduct relevant tests and verifications, such asOcean motorThe hydrogen fuel cell business has initially completed its layout, and its cooperative depots include Zhongtong and Dongfeng Special Auto.It is only how to achieve the localization of key components and reduce the cost of fuel cells, becoming the main shortcoming of fuel cells behind lithium batteries. From the perspective of consumers, fuel cell vehicles have long battery life, fast hydrogenation, and driving experience is better than electric vehicles, which will undoubtedly bring a better user experience. Therefore, although the development of fuel cell vehicles is slow, it has not been lost. Market heat. The establishment of fuel cell vehicle hydrogen refueling stations, the localization of key components, and technological advances have reduced production costs, far more than the bottleneck of increasing the energy density and increasing mileage of lithium batteries, and it is more innovative. From the past policies, we can see that the policy of fuel cells is increasing, especially the subsidy policy of 2018, which further raises the threshold for energy density of lithium battery passenger cars, while the fuel cell vehicle subsidy remains unchanged. Automobiles are subsidized according to the rated power of the fuel cell system. Fuel cell buses and special vehicles adopt the fixed subsidy method, which is the most subsidized new energy vehicle type. In "Made in China 2025", we clearly support the development of fuel cell vehicles and promote the strategy of integrating new energy vehicles with international advanced levels. Three development stages are proposed, firstly, localization of key materials and components; secondly, fuel cells and The performance of the whole battery stack is gradually improved; in addition, it will realize 1000 vehicles by 2020, 50,000 vehicles in 2025, and 1 million fuel cell vehicle applications in 2030, and basically complete hydrogen production and hydrogenation infrastructure by 2025. In foreign countries, the central and local governments of Japan provide financial subsidies of about 23,000 US dollars (about 147,000 yuan) for each hydrogen energy vehicle, which is lower than the subsidy standard for hydrogen fuel cell passenger cars in China. The United States has the least subsidy for fuel cell vehicles. 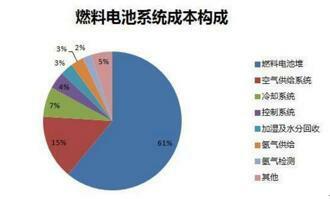 And will gradually cancel the subsidies for new energy vehicles, it can be seen that China's fuel cell vehicle subsidies are the most favorable. Not only from the national financial support for the development of the fuel cell vehicle industry, local provinces and cities are also strongly supporting the development of the local hydrogen energy and fuel cell vehicle industry.Since 2018, provinces and municipalities including Beijing, Shanghai, Guangdong, Wuhan, Chongqing and other provinces and municipalities have introduced local subsidies for hydrogen fuel cell vehicles, and proposed infrastructure construction such as hydrogen refueling stations. Foshan has become the benchmark for local urban hydrogen refueling stations. .
Fuel cell vehicle manufacturing is also developing rapidly, in terms of passenger cars,SAICThe development of four generations of hydrogen fuel cell cars has been completed, and the SAIC Roewe 950 plug-in fuel cell vehicle was unveiled at the 2015 Auto Show.Yutong BusSince the investment in 2009, the four-generation fuel cell city bus has been upgraded.Zhongtong BusThen in January 2017, the first 9-meter hydrogen fuel cell bus was off the assembly line. Compared with Toyota's research and development time and investment in the field of fuel cell vehicles, domestic fuel cell auto companies want to achieve mass production, and it will take some time to settle. But there is a very classic saying in my country: there must be a brave man under the reward. Lithium battery electric vehicles have opened up the market situation of new energy vehicles under high subsidies. Fuel cells mainly have three advantages. The subsidies support stability, the recognition of new energy vehicles is improved, and the battery life and convenience are convenient. With the lithium battery electric vehicles Subsidy subsidies have already affected the performance of some automakers, and the fuel cell auto subsidies have gradually attracted the involvement of relevant industry capital. 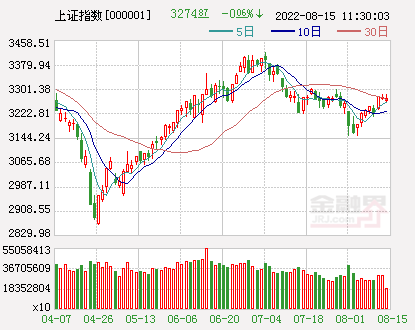 Regardless of how industrial investment is in the field of fuel cell vehicles, the logic of the capital market is obviously different from that of lithium battery electric vehicles. The theme of lithium battery electric vehicles has always been focused on performance, so the lithium battery electric vehicle industry is the most The bitterness is no more than the midstream production and manufacturing enterprises. Due to the low technical threshold, the upstream lithium mines and downstream vehicle companies are constantly eroding the market. The mid-stream enterprises that have been attacked before and after have become the most difficult enterprises in the entire lithium battery electric vehicle industry, and even enterprises such as Waterma and Zhuhai Yinlong have appeared.Lithium battery manufacturing enterprises are in trouble. On the one hand, the rapid expansion of production capacity has caused problems in the capital chain, and on the other hand, because the country has improved the cruising range and energy density standards, some of its products no longer meet the subsidy standards and become “waste products”. ", no orders, no subsidies. Subsidies are like a strong shot, which makes the lithium battery electric vehicle industry burst into vitality, but also conceals many contradictions. The hype logic of fuel cell vehicles is obviously different from lithium battery electric vehicles. Although the subsidies are many, they are not good, because the technical threshold is really high. As a promising and technically important industry, the middle and upper reaches have become the most noteworthy sectors for fuel cell vehicles. As a vehicle manufacturer downstream of the industrial chain, there is not much enthusiasm in the field of fuel cell vehicles. High threshold and high investment are one of the reasons why the whole vehicle company is struggling. More because the double-point evaluation is just around the corner, lithium-ion electric vehicles have become the first choice for enterprises with their more mature operation mode, so there are only a few Like SAIC, car companies are willing to invest in the cost and time of fuel cell vehicle research and development. The upstream raw materials of fuel cells are based on the uncertainty of technology and products. There are still some variables. For fuel cells to be applied on a large scale, a prerequisite is whether hydrogen can be produced at a lower cost. The main way of producing hydrogen is industrial. Exhaust gas + PSA, methanol cracking, natural gas cracking, and electrolysis of water. The lowest cost is industrial tail gas + PSA method. The best domestic market economy is methanol cracking. In either case, it is not a rare upstream raw material, especially industrial tail gas + PSA, which is under the pressure of environmental protection policy. Become a new source of income for industrial enterprises. Therefore, the fuel cell R&D and production enterprises in the middle and upper reaches, as well as related parts suppliers, have become the core of success or failure of fuel cell vehicles.The fuel cell cost consists of a fuel cell stack, an air supply system, a hydrogen supply system, a cooling drainage system, and a power control system. The cost of the stack is as high as 61%, and the cost of the catalyst is the highest in the stack, accounting for nearly half. Therefore, research on battery stacks has become the first choice for fuel cell technology companies. At present, many domestic enterprises have been able to produce battery stacks through independent research and development and introduction of technologies. For example, Dalian Xinyuan Power and other independent research and development products have been used by vehicle manufacturers for vehicle testing. 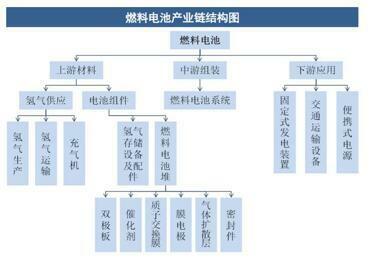 Foreign companies have also assembled electric reactors through joint ventures in China. Domestic system companies provide stacks. The fuel cell concept stocks that have recently been sought after by the market are mostly manufacturers of battery stacks, and because the technology in this field has become increasingly mature. As a hypeXiongyi sharesIt is a reactor manufacturer and has relevant mature products;Dewei new materialOn the one hand, it independently researches and develops hydrogen fuel cells, and on the other hand invests in US fuel cell companies;Jiangsu ThorpeThe hydrazine hydrazine technology is one of the raw material paths for fuel cells; Ocean Electric independently researches hydrogen fuel cell systems and hydrogen energy engine systems;All diesel powerHydrogen fuel cell stacks have been published in related products.In terms of investment logic, the battery stack has become the focus of the market, and the localization process of some key components is currently under standard, and lacks strong performance data, and further exploration is needed. Although there is no relevant enterprise in China that can get a product comparable to that of Toyota fuel cell vehicles, the entire fuel cell industry chain has been extended by the capital and supply and demand from the perspective of technology and supply and demand, as a lithium battery electric vehicle. With a new industry chain with a longer industrial chain and higher technology content, the pursuit of the current capital market is only the beginning. After all, research and mass production, this step can make a company go from glory to decline. The Ministry of Industry and Information Technology held the kick-off meeting for the preparation of the "New Energy Vehicle Industry Development Plan (2021-2035)"
The second bomb of the CSRC! 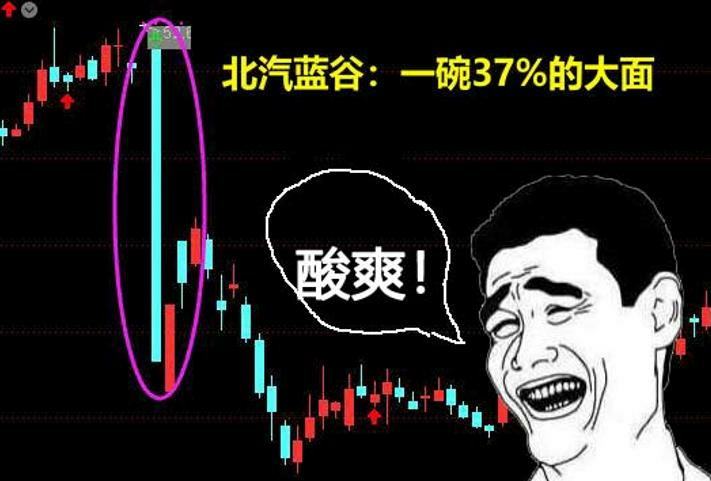 A-share four years ago, the big bull market "starter" came back. 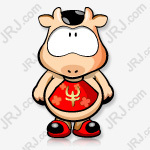 18 years ago, the performance fraud was picked up by Liu Weiwei. Now he quietly took over to return to A shares. [Decryption] The "bug" of the science board: Why do you let go of the ups and downs but there is no T+0? Storm Group suffered from Waterloo: The second LeTV came quietly? Use 3 pictures to tell you that the moment when the A-share shock rises is coming!